When you get a prescription filled at the pharmacy, it always comes with instructions. When you get a new coffee maker, it comes with instructions. When you cook a dish, you follow a recipe. God in His abundant love only wants our happiness and gave us instructions on how to live so that we will be happy. 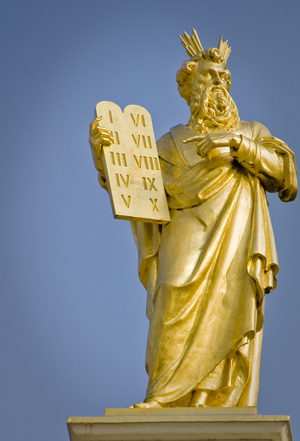 He started with the Ten Commandments and the Mosaic Law. Then His Son, Jesus, went further, with the Beatitudes. He said: “I am the way and the truth and the life” (John 14:6). And He modeled for us the way to live as children of God. He said, “If you love Me, keep My commandments” (John 14:15). Jesus exalted the Law as the instructions for showing our love for God and the people in our lives. The more you love someone, the more careful you are of even the little things. So we love God with our prayer life, and we love our neighbors by wishing them well even if we have negative feelings for them. It is trying to be a nourishing person rather than a toxic one.